Large 24 bit color 8.4" touch screen display with Built-in US 101 keyboard. 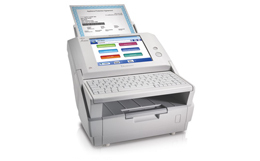 The ScanSnap fi-6010N iScanner gives your organization office-linking functionality. 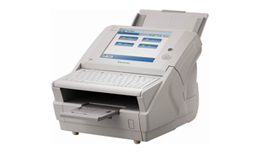 Features include Scan to E-mail, Scan to Folder, Scan to Network Fax, Scan to FTP and Scan to Print. Furthermore, you can increase productivity with advanced imaging functions that are performed automatically as you scan: the fi-6010N will automatically adjust for Rotation, Blank Page Deletion, Color Detection, Deskew, and Page Size Detection. Adobe® Acrobat® Standard and ScandAll Pro are included with the Fujitsu fi-6010 scanner, which allow you to quickly and easily integrate your workflow. Physical dimensions 12.4 x 16.3 x 11.1 "